The experts at Stadium Packing have been working with the company Engineering Creatives to pack and ship a series of their interactive gaming machines to be installed into the Yas Mall in Abu Dhabi. 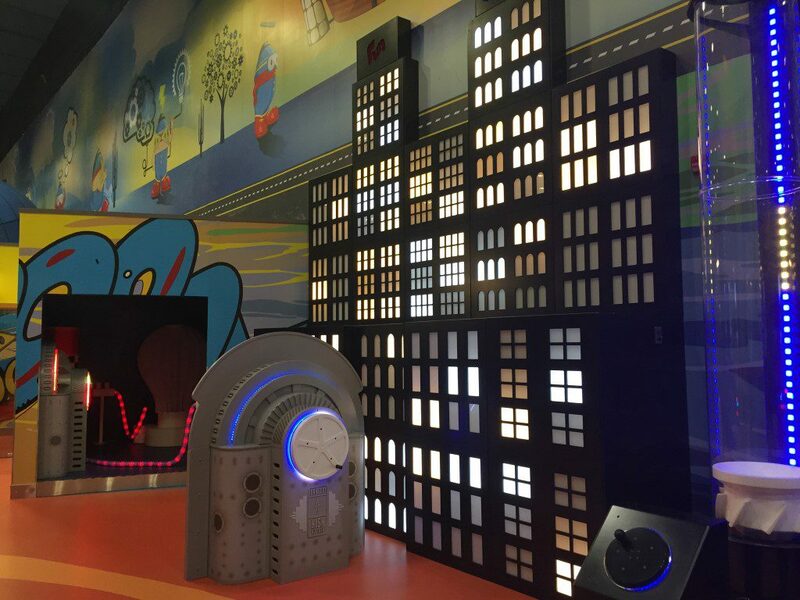 Each exhibit gaming machine presents a different experience based around key themes: energy transformation; waste recycling; art and design linked to a giant rocket themed kaleidoscope; crime solving detective experience; car production and assembly. The objects, ranging from a flying saucer interactive game driven by an air fan, to a giant kaleidoscope, had to be delicately packed to ensure there would be no damage during the shipment. The items are then carefully loaded into timber and plywood cases manufactured at Stadium’s factory in Gateshead. Stadium Packing used a number of preservation techniques to ensure every part of each machine would arrive in the Middle East in the same condition as it left the factory. The experts packing the items must therefore ensure the cases are strong enough to withstand being transported onto a number of different vehicles across numerous countries. In total, Stadium supplied over sixty custom built packing cases, carrying 32 tonnes of goods ranging from control systems, interactive screens and projectors, bespoke machines, cosmetic cladding and structural steel work.